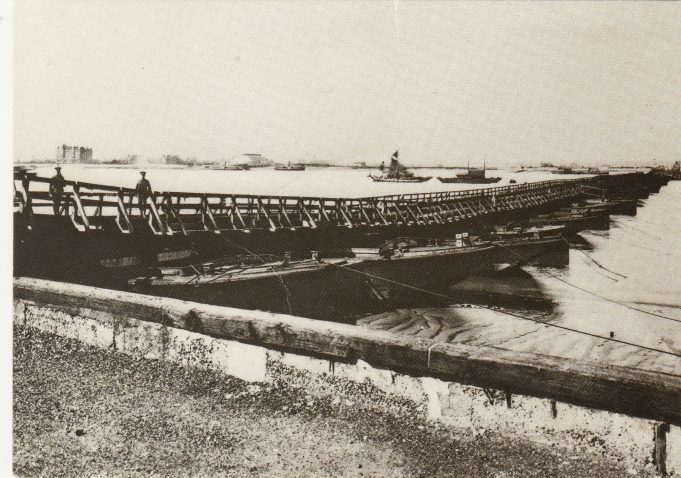 This is a pontoon bridge from Gravesend to Tilbury in 1915. Note the Tilbury Hotel on the other side. For more information about the pontoon bridge, see this article.